Brown butter and brandy are tossed with crisp apples for a sophisticated fall treat. My favorite kind of dessert is one that I can enjoy for breakfast the next day. Take for instance, these apple hand pies. Now if you have ever taken a gander at my Instagram page you may noticed the recurring theme on my feed this month so far has been apples, and it’s getting out of control. Last year it was all about pumpkin spice…this year it’s all about apples. 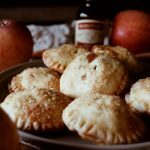 In fact, as I am writing, I feel another apple inspired recipe coming on and if it weren’t nearly midnight, I would for sure head into the kitchen and whip up another batch of these delicious hand pies, or some other recipe that involved apples…and caramel. I’m craving caramel now too. So, look out for that recipe coming next. I digress though- which I have a tendency to do. Back to these hand pies. Have you ever had a craving for brown butter and brandy? You will now. Also note, I’ve recently gotten into Once Upon A Time again after taking a long hiatus, and now I’m planning ahead for the weekend fully intending to catch up on missed seasons. This happens to be my first time baking with brown butter. I’ve heard so much about it, but when things get overly trendy, I have a tendency to avoid it. I’m such a food rebel. However, I was watching the Food Network and caught a brown butter recipe which served as the inspiration behind this recipe. With a bushel of apples left on hand, I decided to cloak them in brown butter and a splash of brandy. Then I wrapped the filling in squares of French pastry dough; I sprinkled them with cinnamon sugar and baked until the fruit was oozing from the puffed crust which had turned a beautiful golden hue. Finally, I completed my pies with a simple icing. Utter perfection graced our palette. You will love these, and I certainly hope you give them a try this season. In a large bowl, toss together apples, spice mix, and brandy. Let sit and set aside. In a small saucepan, melt butter until it bubbles to a golden color, about 7-8 minutes. DO NOT BURN! Pour over the brandied apples and toss. Preheat oven to 350 degrees F. and line two baking sheets with parchment paper. On a well floured surface roll out puff pastry. Using a pizza wheel, cut 8 even squares. Brush the edges of each square with the egg wash. Add a heaping tablespoon of the brown butter brandied apples on one half of the pastry square. Fold the other half of tough over and pinch the edges with a fork. Brush each hand pie with the egg wash and sprinkle liberally with cinnamon sugar. With a sharp knife, poke two holes on the top of each pie and place in the oven. 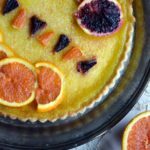 Bake for 20-25 minutes, or until the fruit filing oozes and the crust is golden. Let the hand pies cool slightly before transferring them to a wire rack. In the meantime, whisk together icing sugar and cream. Drizzle over each of the hand pies and allow enough time for the icing to set before serving. These look absolutely irresistible- Brown butter seriously is magic. Thanks Tammy! Brandy and brown butter are such great components of a dessert. Putting them in those apple hand pies is a great idea. I must try this recipe as soon as possible! So now I'm CRAVING one of these delightful glazed apple hand pie, Tammy. Perfect for lunch boxes, midnight snacks, picnics, you name it. Brown butter and brandy, huh? I'm in! Gorgeous apple photos! You had me at brown butter and kept me hanging on with the ease of puff pastry sheets! Looks fabulous! I wish I could reach in and grab one! They look awesome, Tammy. I want to eat this warm with a dollop of ice cream on top! That would be heaven in a bowl for me - looks so delicious and very doable, too! I love apples dear and these hand pies look delicious :) Hugs ! These mini pies look phenomenal, Catherine! Beautifully done!!! Apple hand pie is another of my favorite apple desserts. I just can't get enough of apples right now! Apple love! can't wait to try them!!! Wow! These look delicious! I will definitely have to try these soon!! 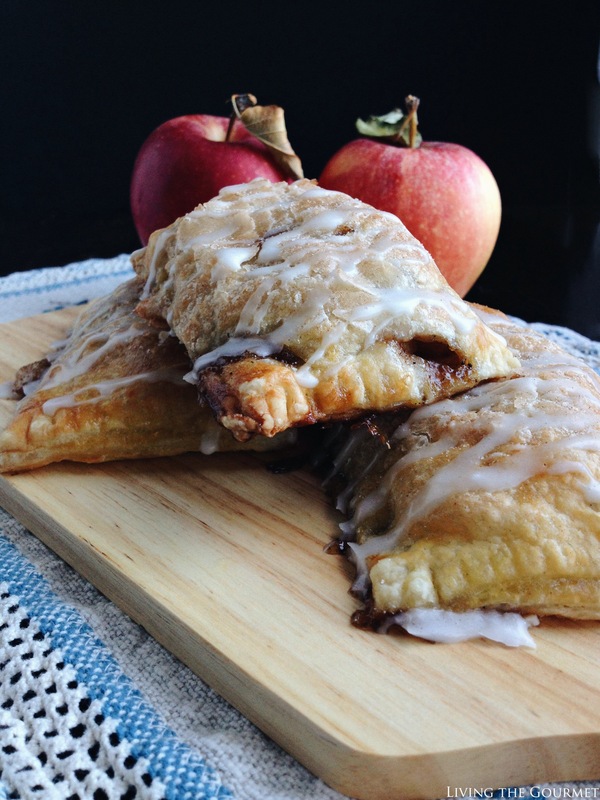 These hand pies look amazing - flaky pastry, soft and sweet apples! The combination is classic, yet elegant and unique with brandy! I can tell just by this ingredient lists that these are the best hand pies ever!! Puff pastry, cream, apples... YUM! 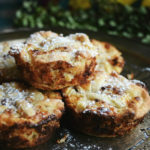 These little pies oozing with apples, brown butter, and brandy sound and look amazing! Such a great combination of flavors! These look amazing! I also haven't tried making or eating brown butter recipes. I am very curious though. I would have never thought to combine brown butter and brandy but I love it! I know a lot of people who would love these and I also have a bushel of apples waiting to be baked into something awesome! I think this recipe may be it! I can't wait to try it. Thanks for sharing. Pinned! I love how you show every step, this recipe is totally doable, I am saving this one to my apple desserts recipe board! I love Once Upon a Time! It's one of my sort-of-secret indulgences. I thought the Frozen season was the best yet. But moving on to more important things...your hand pies look absolutely fabulous! Apple desserts are my favorite! Holy cow do these ever sound delicious! Thanks for joining Cooking and Crafting with J & J! Your pictures are gorgeous! And these look delicious, too! 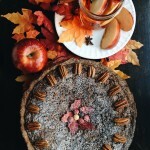 I love this adult version of apple pies - perfect for any fall or winter entertaining! Yummy! These look gorgeous, Catherine! What beautiful, delicious pies. 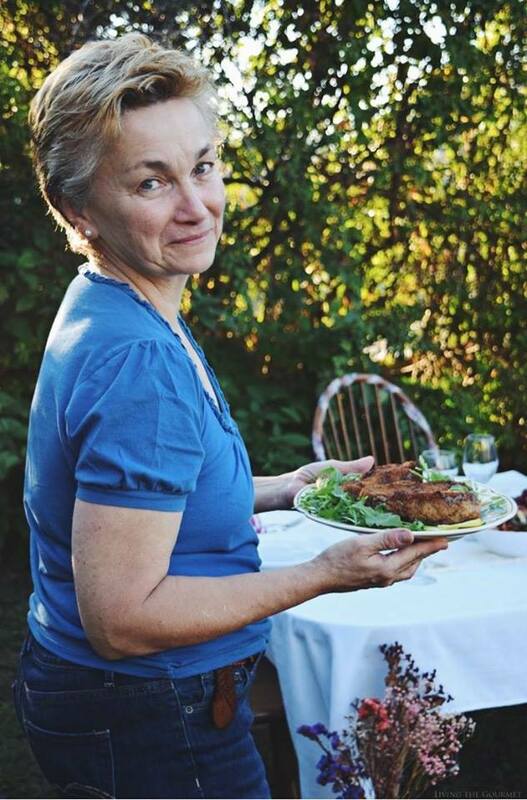 Thank you for sharing them with us at the Hearth and Soul Hop. 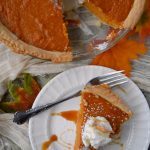 Tammy, this is delicious, I can finish few at a stretch, thanks for sharing with Hearth and soul blog hop, pinning and tweeting.